The prefix “meta” is used to mean about its own category. For example, under the umbrella of business intelligence, you often hear the term “metadata,” which means data concerning data. For purposes of this short post, “metastrategy” could be described as an overarching marketing strategy determining which media strategies to use during various phases of the consumer purchasing process (strategy concerning strategy). As your customers move through the purchasing process, multiple media channels have the potential to impact their buying decisions and shopping experiences. This makes an integrated marketing strategy more important than ever. 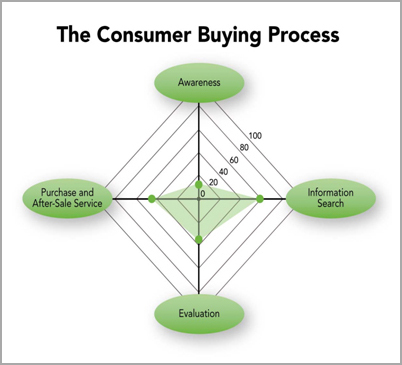 There is strategic marketing importance in each phase of the consumer buying process in today’s competitive economy. The current combination of declining customer satisfaction levels and economic concerns is creating the perfect customer experience storm. In this type of business climate, those companies that focus on an integrated consumer purchasing process will be the ones that come out on top. That means a relentless and coordinated approach to strategic marketing across all media channels has never been more important. You are currently browsing the archives for the Customer Retention category.